Other features in version 0.10.0 update for PUBG Mobile Beta include the Laser Sight weapon attachment, new control settings and in-game outfits. 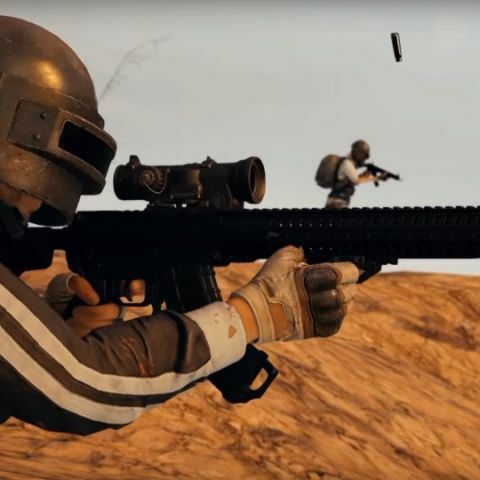 The 0.10.0 update for PUBG Mobile beta is now rolling out and as one would expect, it brings a number of new features for the game. The most notable is a new weapon, the MK47 Mutant, which has been available on the title's PC and Xbox One versions for some time now. It also brings a new weapon attachment, new chat options and more. The update should make its way to the stable version over the next few weeks or so. The MK47 Mutant is an assault rifle that uses 7.62mm ammunition, which is the same one used by the AKM. It offers single and burst fire modes and has a 20 round magazine. The new weapon attachment is the Laser Sight, which takes up a slot on the lower rail. It improves hip-fire accuracy, making it ideal for ‘run-n-gun’ situations. However, since it attaches to the lower rail, it cannot be used in conjunction with foregrips and a player will have to choose one from the two. New chat options include new scripted text as well as new voice dialogue options. This should make communication between teammates easier. These options are categorised under tactics, movement, and discussion. Other changes that the update brings (besides general bug fixes) include new control settings and new in-game outfits. Players will now be able to customise the screen layout with new preset and variable options. While the patch notes do not specify the in-game outfits, it will most likely be connected to the Resident Evil 2 crossover. While details of the crossover are not yet known, it’s possible that it will include some sort of new Zombie gameplay in PUBG Mobile, inspired by the horror game. It should be noted that PUBG’s biggest competitors, Fortnite and Call of Duty: Black Ops 4 also have a co-op survival mode. Fortnite has the Save the World mode where players have to fight off waves of zombies and COD: Black Ops 4 features a Zombie mode, which works in a similar fashion. is your top 10 mobile section updated?